The first group that Dr. Weston A. 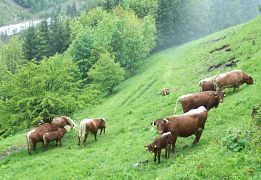 Price studied when he set out to determine the connections between diet, dental caries and health, was a group of Swiss living in the isolated Lötschental Valley where the diet was centered on the raw dairy products produced from cows grazing on the nearby Alpine slopes, and the bread made from rye grown in the valley. the rigors of mountain climbing. 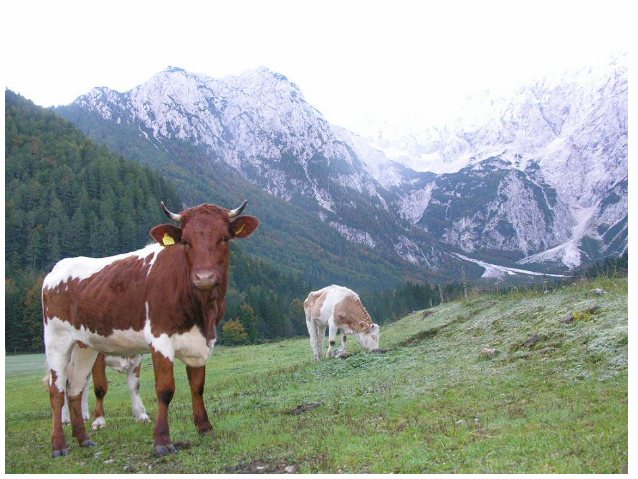 On the Velika planina, the highest mountain plateau in Slovenia above the picturesque town of Kamnik in the Alps, the cows traditionally trek up the mountainside to graze the Alpine grass on the first Friday in June and remain until Fall. The locals celebrate when the cows go up and when they come down. 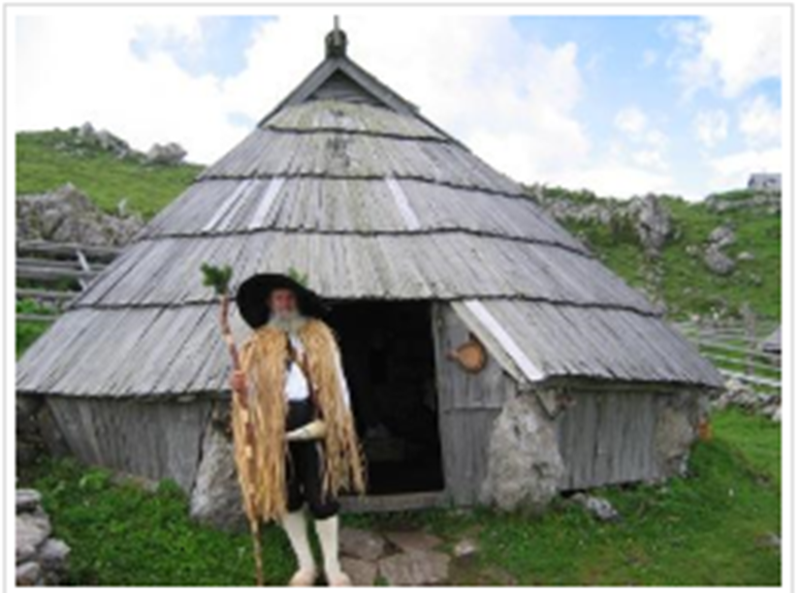 In the old days, the herders, called plansars (planina) wore a specific dress which they made from local plants. 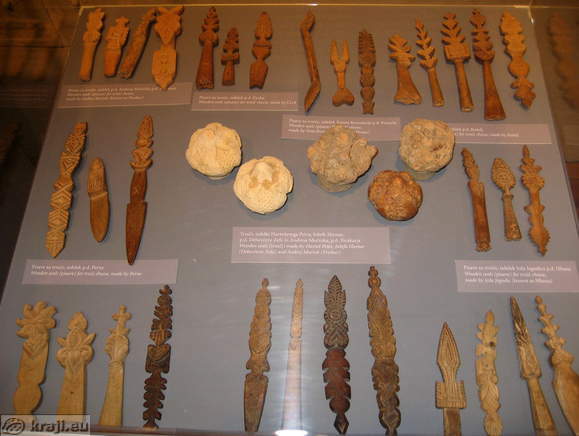 They collected the milk and made the trnic cheese with special tools. The trnic can be dried and eaten during the winter. The herders lived in special mountain huts on the planina. 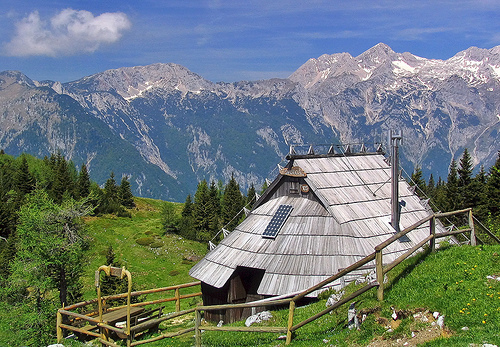 Most of the huts were destroyed by the Nazis during World War II. 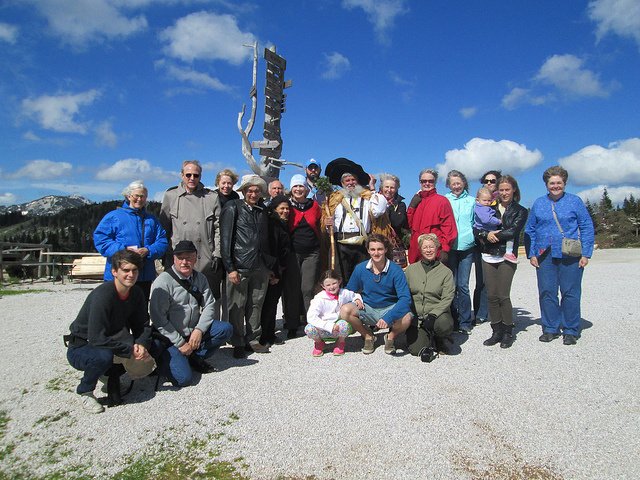 with a guide and visit an authentic herdsman’s hut –now a mini-museum which shows the life of the plansar in those days. We see how the trnic cheese is made, taste the cheese, and try our hand at making some ourselves. DOBER TEK (Enjoy your meal) ! ! ! See you at the Rainbows End in Slovenia! Licensed and board-certfied nutritionist, writer and researcher. BS in Home Economics, Foods and Nutrition Education;, MS in Health Administration; PhD in Public Health Education; completed the dietetic program at Penn State, University and the CNS Certified Nutrition Specialist program. Fulbrighter to Slovenia in Public Health. Speaker at Weston A. Price Foundation Conference and International Raw Milk Symposiums. Member of the American College of Nutrition. Creator and tour leader for "Taste of Slovenia, a Real Food Tour." Highlights of Taste of Slovenia May 30-June 9, 2014— You still have time to join us.